With Visa or Master Card - ToursinVietnam™ is supported by the payment system of SE Asia Travel Group., Jsc. All of your card information is processed through SSL protocol with international card security standard. Your card information will not be stored at our system (merchant) but MasterCard with international security standard. After you have received your Order from us through a link, please check the information of the Order. If all the information is correct, please read & agree with Terms and Conditions before clicking to pay. You will be redirected to OnePAY Payment Gateway to pay us online with Visa, MasterCard, American Express, and JCB Card . A deposit of 30% of the tour value or US$ 300 per person by credit card or bank transfer plus bank charges (processing fees) is required upon confirmation of your booking (If this amount is less than US$500, we would suggest you to pay us in full before you arrive). Once a deposit is received it is understood that you have read, understood and accepted all our Terms and Conditions. The remaining balance of the tour value (70%) is due upon your arrival in indochinaprivatetours, payable at our office. Cash is preferred to reduce any processing fees that may affect your cost. Free of charge for one child who is under the age of four years old when accompanied by at least two full paying adults and share the same room with them. This discount is subject to availability for airfares and will be charged if any usage of airfare on tour. A tour price of 75% of full paying adult will be charged for one child from 4 to 11 year old when accompanied by at least two full paying adults and stays in the same room. An extra bed is provided without any payment. Children at the age of twelve or older will be charged as an adult. Please be prepared to show appropriate identification clearly stating the date of birth when confirming the services. We would deeply regret your decision to cancel your trip to Vietnam, however we realize that there are many valid reasons that this can happen. All airline tickets are non‐refundable and require instant payment. In case customers cancel advanced arrangements more than 30 days prior to departure: The total deposit paid to us (30% or US$ 300 per person) will be charged to cover flights, hotel booking and other administrative fees. The remaining money will applied to your other tours and services with us during one year (365 days) from the date the deposit was received. When this time period is over, the amount is forfeited. + To confirm the booking with us, a 30% deposit is required. If you cancel the tour > 45 days, 10% will be refundable. Your satisfaction is our first priority. If there's a problem with your booking, please contact us and state your reasons for the refund request and we will try our best to assist you. NOTE: Please note that SPECIAL OFFERS that customers agree with the Travel Consultant are not eligible for the general cancellation policy and have to work under certain conditions of each booking. Transfers: Where you are or any member of your party is prevented from travelling for any reason (including death, illness or jury service) we will transfer your booking to any other person satisfying all the requirements relating to your holiday notified to us by you in writing a reasonable time prior to your due date of departure. Other changes: If you wish to make any other change to your booking at any time (itineraries, hotels, fligh tickets, etc.) after our booking confirmation has been issued, we will try but cannot promise to meet your request. On some occasions, if members of a group booking withdraw, there are fixed costs which mean the remaining travelling party must pay more per person. We require your authority in writing before we can make any change. In the event that any change is requested in relation to a group booking we require the authority in writing of the lead name before we can make the change. Treatment of changes by our suppliers: Many of our suppliers, particularly airlines do not permit us to change names or travel dates and impose full or partial charges. We will pass these on to you where applicable. All expenses incurred by Discover Indochina™ in alteration of the booking are to be paid by customer. This includes all fees and charges levied by third parties such as cruise operators, airlines and hotels if any. ToursinVietnam™ is an inbound travel agency; therefore it will not be possible to arrange any insurance for the clients. We advise them to contact an insurance company in the country of residence. However, it is possible to let us act as an intermediary link between the client and their insurance company. We highly recommend that you purchase full coverage travel insurance from your country of origin. Insurance provided by ToursinVietnam™ is not applicable where only hotel or indochinaprivatetours flight booking are purchased through ToursinVietnam™. Shall you feel unsatisfied with any service ToursinVietnam™ has provided, please notify your local tour guide or your travel advisor to avoid the potential for similar problems happening again during your trip. In the event of a complaint or claim for compensation, you must inform us by email, regular mail, or facsimile in writing within 15 days from the end of your tour. Relevant receipts and substantiating evidence must be attached to the letter of claim. ToursinVietnam™ will not be liable for any claims made later than 15 days after the completion of your tour. You can contact ToursinVietnam™ via the web form from ToursinVietnam™, email, fax, or phone. If for any reason, you fail to receive any reply from ToursinVietnam™ in regard of your tour status within 48 hours from the time you submitted the request for booking, modifying, or canceling a tour, please contact ToursinVietnam™ customer service center at sales@toursinvietnam.com or phone at (+84) 462-698-528 immediately to ensure that we are able to deal with your enquiry in accordance with the terms of our Terms and Conditions. ToursinVietnam™ provides tour information and indochinaprivatetours tour bookings. 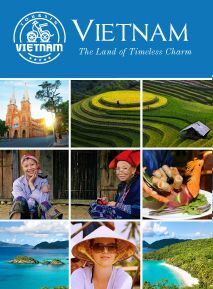 ToursinVietnam™ publishes travel information and services gathered from the selected quality hotels, air ticket agencies and tour companies & operators. ToursinVietnam™ will not be responsible for errors, emissions or inaccuracies in information provided by third party providers. 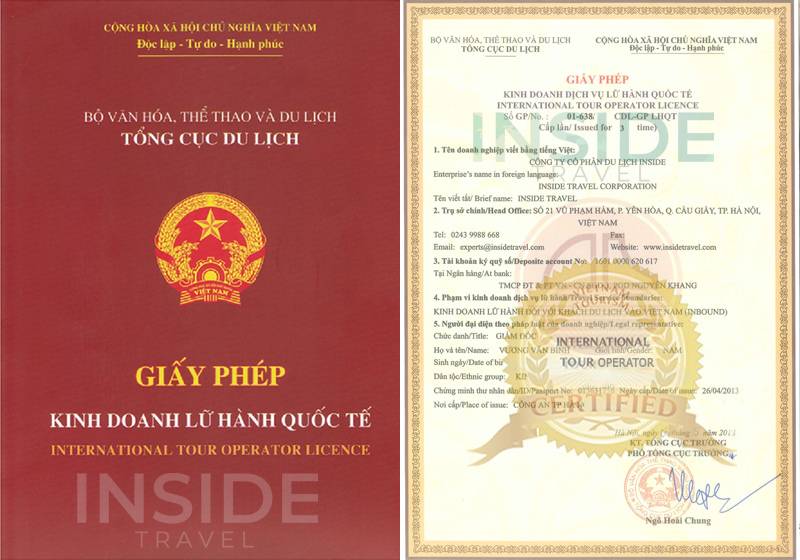 We shall not be responsible for any wrongful or negligent or fraudulent, omissions, changes of itinerary, cancellation or the failure of any equipment operated by those suppliers or any other party not directly owned or controlled by ToursinVietnam™. We is not responsible for a client's failure to comply with customs regulations. We is not responsible for the theft or loss of any customer's valuables or items of personal property due to the negligence of the customer. ToursinVietnam™ reserves the right to substitute hotels, flights, or cruise ships, to alter itineraries, or to cancel the tour prior to departure. If ToursinVietnam™ has cancelled any tour prior to the commencement of the tour, ToursinVietnam™ is liable for a full refund of the money received from the client. Many of ToursinVietnam™ tour packages include activities which require care and attention. Such activities include boarding and going ashore from boats, climbing hills and entering and exiting tombs and caves etc. You will receive help and advice from our representatives but all activities are undertaken at your own risk. ToursinVietnam™, its employees and agents cannot be responsible for any action or event that occurs after it said employees and agents have exercised their duty and taken the necessary care. ToursinVietnam™ reserves the right to modify or rescind the terms and conditions in whole, or in part at any time with or without notice. ToursinVietnam™ reserves the right to modify or discontinue service to clients who behave illegally or objectionably toward its employees and agents. Offensive behavior includes behavior which is obscene, racially offensive or of a sexual nature. It is the policy of toursinvietnam.com to protect and preserve the privacy of its users and customers, and the confidentiality of the information they provide, subject to conditions described below. To demonstrate our commitment to privacy we encourage all of our current and prospective users to read this Privacy Statement carefully before using the system. This privacy statement discloses what information we gather, how we use it, and how to correct or change it. It is our intention to give you as much control as possible over your privacy in regard to your Information. Be assured that we will not disclose personal Information to third parties without your consent. By using our site, you agree to the terms of the Terms and Conditions and our Privacy Statement. Tours in Vietnam reserves the right to expand and/or modify this Statement at any time. The information will be stored in the travelling time and temporarily stored for the purpose of g to provide the service for the the trip in coming time. The address of information collection: Suite 316 G3D building, Vu Pham Ham Street, Hanoi city, Vietnam. The information is stored safely in the company’s website server in USA, under the most confidential and secured conditions provided by digitalocean, amazon, etc. Clients may request access and correction to personal information. Requests to access, correct or amend the personal information are required in writing by submitting the information via website or sending the email to travel consultants. Tours in Vietnam is committed to providing the highest level of security and privacy. All transactions of user authentication including credit cards processing are conducted using SSL (Secure Socket Layer) technology, supported by your browser, which encrypts all information that is sent to us. Our security certificate has been verified by SiteLock Website Security (USA), using the best commercially available encryption on the Internet. We take every precaution to protect personal information from loss, misuse, unauthorized access, disclosure, alteration or destruction by implementing policies and procedures to ensure that personal information is kept only for the purposes for which it has been gathered. b. Financial Transactions. Credit card transactions are processed through one of the major third-party credit card processing companies: PayPal.com, OnePay.vn and G2S.Com payment gate. All your information is encrypted and is used only to complete the appropriate transactions. Our database stores your email address as username to login on our system for discount policy. d. System information. Tours in Vietnam reserves the right to collect and store such information as IP address, browser type or operating system type. All the information is highly confidential and will be used exclusively for system administration purposes. This information helps diagnose problems, monitor traffic and site usage. e. E-mail. Tours in Vietnam uses e-mail to notify our members or clients about changes in the status of their applications, changes in the database, on our web site, or when new services or features are added. As part of the service, Tours in Vietnam may send e-mails notifications whenever there are special discounts, new products added, or new features developed. You may unsubscribe our news letter at anytime. Our e-mail list is confidential and is never sold or given to third parties. f. Change or Modify Your Information. You can change or modify your profile at any time by emailing to sales@toursinvietnam.com. This approach guaranties safety of your information. Communication over the Internet as well as applications used to provide services over the Internet are subject to various security risks. In no event shall Tours in Vietnam be responsible for any damages or losses whatsoever, direct or indirect, incidental or consequential, special or punitive, arising from or relating to the unauthorized use, change, deletion or exposure of any information, confidential or not, resulting from unauthorized breaking into the system or any other breach of security, or system failure. Tours in Vietnam hereby disclaims all warranties with regard to the hardware and software used to provide security and support this web site including all implied warranties, fitness for a particular purpose and incidental, special, direct or consequential damages. Accordingly, Tours in Vietnam its officers and employees, partners, affiliates, subsidiaries, successors and assigns, and its third-party agents shall not, directly or indirectly, be liable, in any way, to you or any other person for any inaccuracies, misuse, errors, third party interceptions, viruses, or hacker attacks resulting in loss of data or services including, but not limited to errors or interruptions in the transmission or delivery of services. Tours in Vietnam contains links to other sites. These links are provided exclusively for information purposes and to assist in locating other Internet resources. Therefore, we are not responsible for the privacy practices or the content of such web sites. By accessing this site and using its services, you unconditionally agree with the terms of this Privacy Statement and our Terms & Conditions. You agree to comply with the terms that govern the use of this site and its services and that also govern all information provided by you and other users of Tours in Vietnam. If you do not agree to all or any of the terms of this Privacy Statement, please do not use this site.